Dr. Matt Siegler talks about ice on the Moon, and what it can tell us about the Moon’s past. He also tells us about an experiment that uses astronaut-collected lunar soil. Dr. Heather Kaluna talks about space weathering, which changes the surfaces of the moon, asteroids, and Mercury. She studies space weathering in a laboratory, where she can reproduce hundreds of millions of years of weathering in just forty minutes. 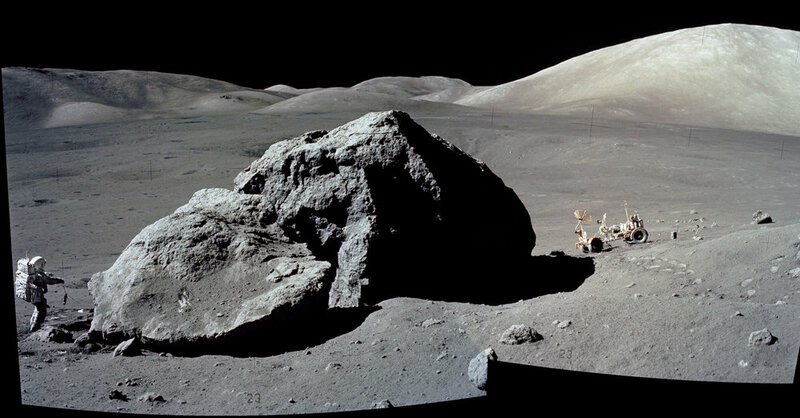 This image shows Harrison Schmitt, Apollo 17 astronaut and the only geologist to have been to the moon (NASA).